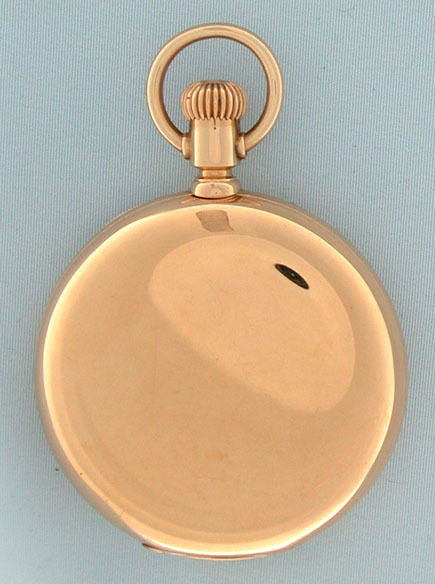 Fine and unusual Swiss Longines 18K pink gold 8-day antique pocket watch with winding indicator circa 1925. 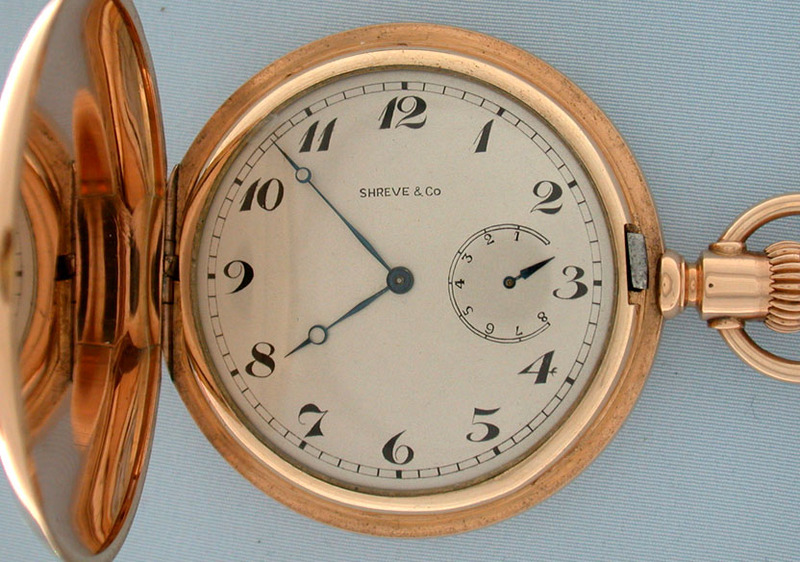 Silver dial with black numerals and blued steel hands with subsidiary dial for the state of the mainspring. 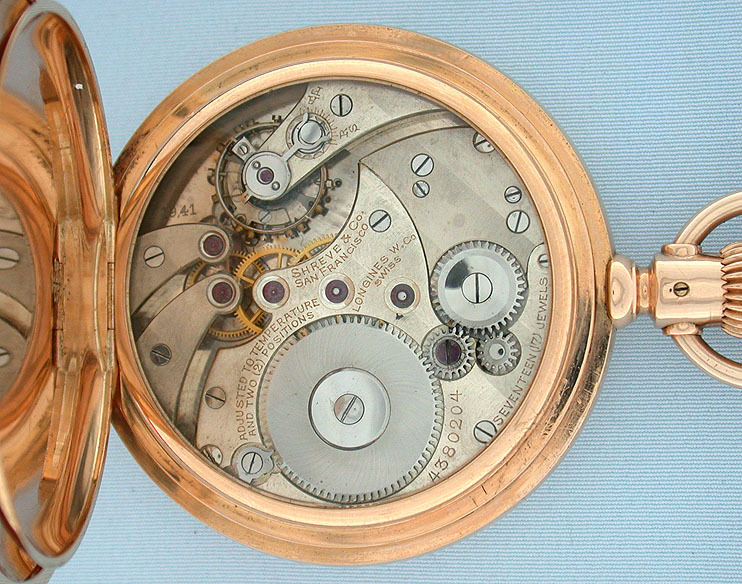 Fine nickel 17 jewel 3 adjustment movement with precision regulator. 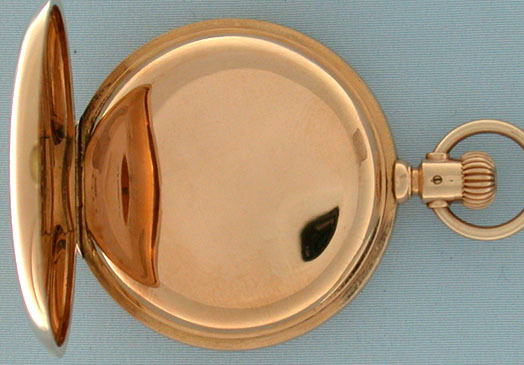 Plain polish case with gold and glazed dust covers.